Beginning theology students often find themselves bewildered by a maze of beliefs represented in Christian history and tradition. Don Thorsen's An Exploration of Christian Theology unravels the knots of theology by exploring the whole Christian tradition in a simple and straightforward way. Beginning with introductory chapters on theology, revelation, and authority, this book deals with biblical teaching and Christian tradition related to such topics as God, creation, sin, Jesus Christ, salvation, and eschatology. Chapters conclude with helpful questions for further reflection and discussion and a convenient glossary of theological terms is included. This is an excellent introduction to Christian theology for classroom or individual use. Don Thorsen (PhD, Drew University) is professor of theology and chair of the department of theology and ethics in the graduate school of theology at Azusa Pacific University in Azusa, California. He is the author or coauthor of several books, including What Christians Believe about the Bible. Within the evangelical tradition, there persists a struggle between the religious-affiliated academy and certain denominational members. . . . Don Thorsen's textbook, An Exploration of Christian Theology, is an attempt to bridge the gap between these two camps. Indeed, it is an invitation, extended in hospitable fashion, for the more conservative evangelical reader to investigate the history, nature, and content of Christian theology. Throughout the text's entirety, Thorsen presents, in a straightforward yet insightful manner, the major foundations and doctrines of classical Christian thought. In terms of audience, it seems to be aimed at the first year theological student with little or no prior background in formal religious studies. . . . 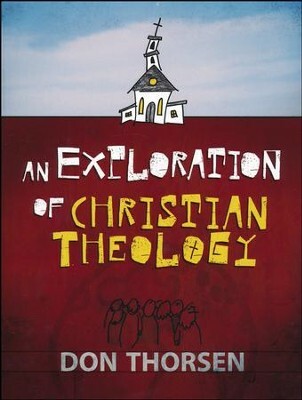 Though methodological tensions remain constant amongst certain evangelicals, Thorsen's amicable yet critical style, which shines throughout the book, obviates the potential sting for first year students of theology, while providing the experienced reader with a refreshing presentation of the Christian tradition and its essential teachings. Within this book there is much to interest a beginning student. Text boxes highlight important points, and at the end of each chapter questions for further reflection are presented. . . . Clearly, it is a first level text to introduce the subject and it does that rather well. Finding a systematic theology textbook that ordinary people can read and learn from is not easy, but Dr. Thorsen has come up with one. 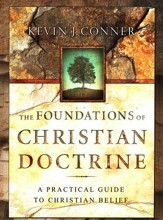 The format resembles an idiot's guide, or theology 'for dummies' but the content is well researched, clearly presented and deeply serious. . . . Dr. Thorsen tries to be fair to as wide a spectrum of Christian belief as he can be, treating Roman Catholics and Pentecostals with equal respect and pointing out what the real disagreements are--as well as reminding us where the weight of majority opinion has generally lain. . . . The design and layout of the book is superb. 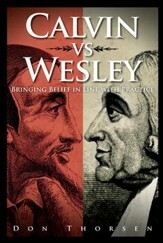 This book is easy to read and it provides a survey of the views represented within historic Christianity. The drawings catch the reader's attention, sometimes even producing an unexpected smile . . . and they also help to reinforce the basic ideas or concepts found on each page. The chapters are outlined and organized effectively. . . . 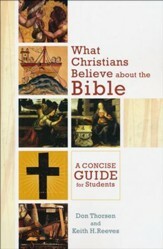 The study questions address both content and application, refocusing the readers' attention on the issues treated and reinforcing the main topics. . . . On most issues, the author has encouraged the reader to consider the implications and applications of the doctrines, and many of the reflection questions are intended to stimulate further thinking about how to put the doctrines into practice. This book would make a good introduction to theology for people without much background in Christian doctrine. 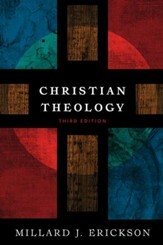 It is a basic guidebook to the field and it provides a helpful overview of most theological categories. I'm the author/artist and I want to review An Exploration of Christian Theology.